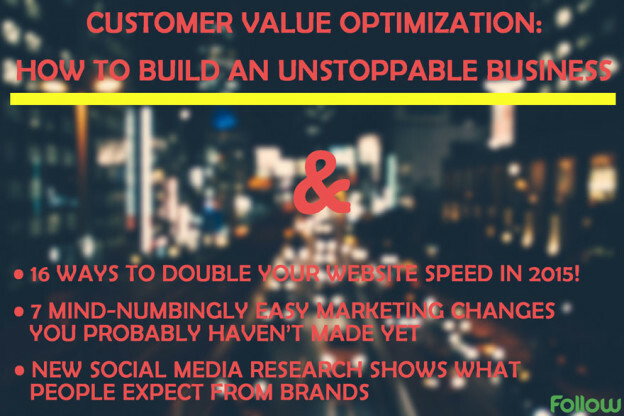 Customer Value Optimization: How to Build an Unstoppable Business – This outstanding piece of content for marketers and entrepreneurs will help you find the resources you need to have to be a master in digital marketing, and build an unstoppable business. 16 Ways to Double Your Website Speed in 2015! – Acquiring and engaging with more customers online also means taking care of how fast your website is. 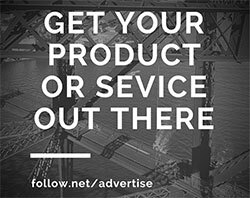 Click above, and learn 16 ways to make your website faster than what it is today. 7 Mind-Numbingly Easy Marketing Changes You Probably Haven’t Made Yet – These 7 easy-to-implement changes you can make to your own website may be able to lift conversion, allow your brand look better, and allow website visitors to feel more comfortable while browsing your website. New Social Media Research Shows What People Expect From Brands – Consumers have today strong expectations on how brands use social channels. This article dives into the findings of different studies to help you determine what consumers want to see from your social media presence.